D W Publishing is a publisher of children's books. 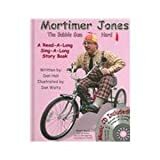 Books published by D W Publishing include Freckles the Frog: Largeprint and Mortimer Jones: The Bubble Gum Nerd. Main Address: 226 McFarland St.